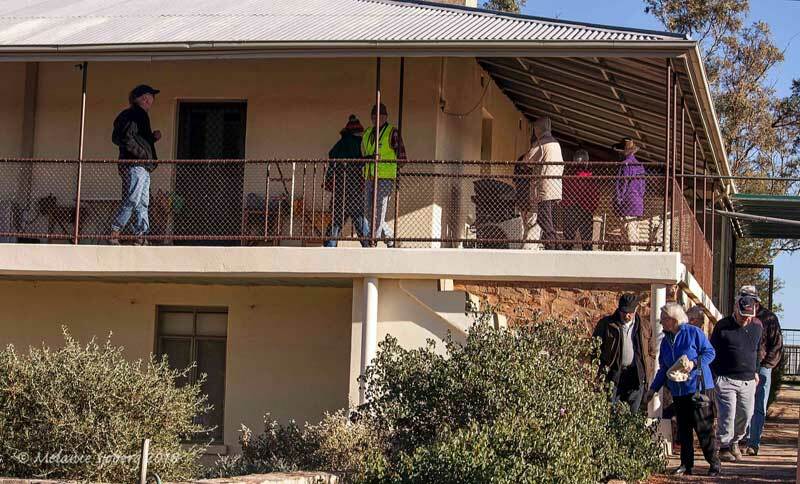 In the words of the quintessential Australian TV soapie “….everybody needs good neighbours…” well the far north of SA those neighbours might not be as close as suburbia but you still need to get to know who they are in case you need to call on someone, sometime. 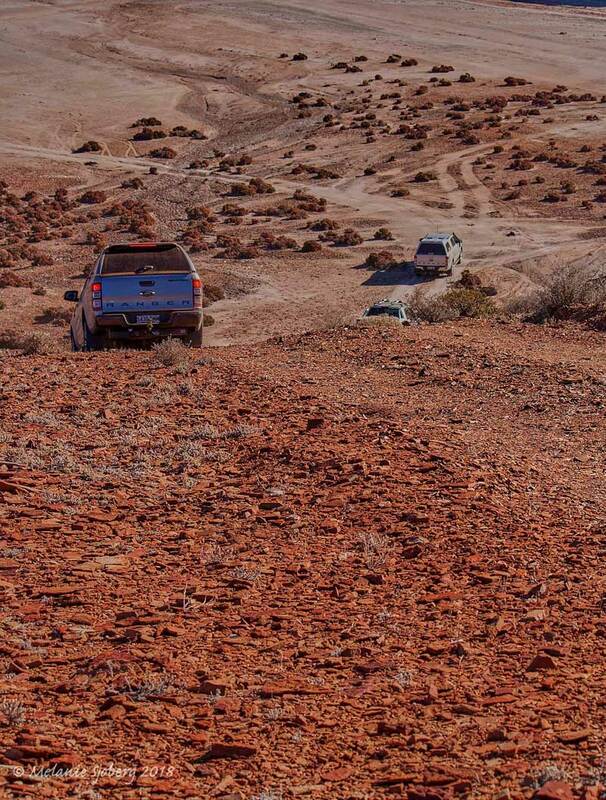 During these weeks our group has been afforded a trip around Farina and a visit to its next door neighbor – 24km along a dirt track to Witchelina. 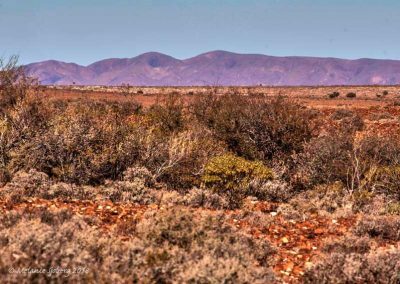 Anne and Kevin Dawes initially managed, and then, when the opportunity arose some 25 years ago, purchased the Farina station spreading over 900+ square kilometres. 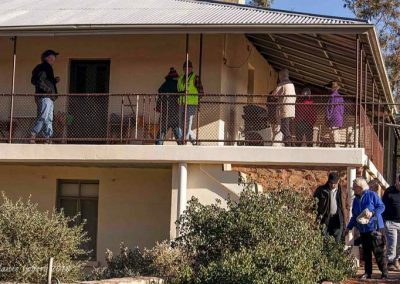 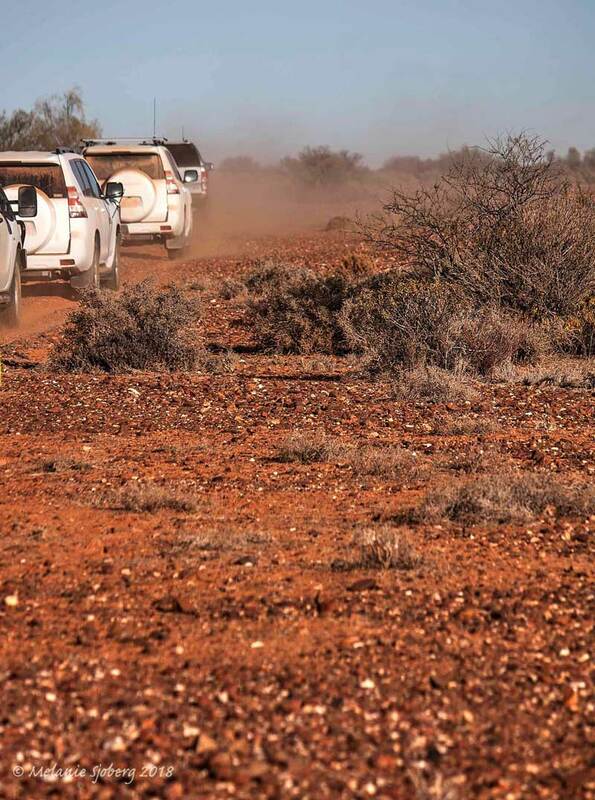 They operate a sheep station, run a tourist campground, 4WD tours and offer strong support for the restoration. 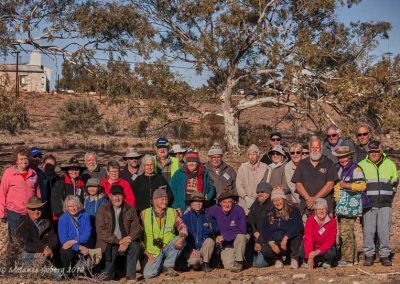 Their generosity extends to organising a 4WD tour of the station that enables Farina volunteers to develop an appreciation of the country. 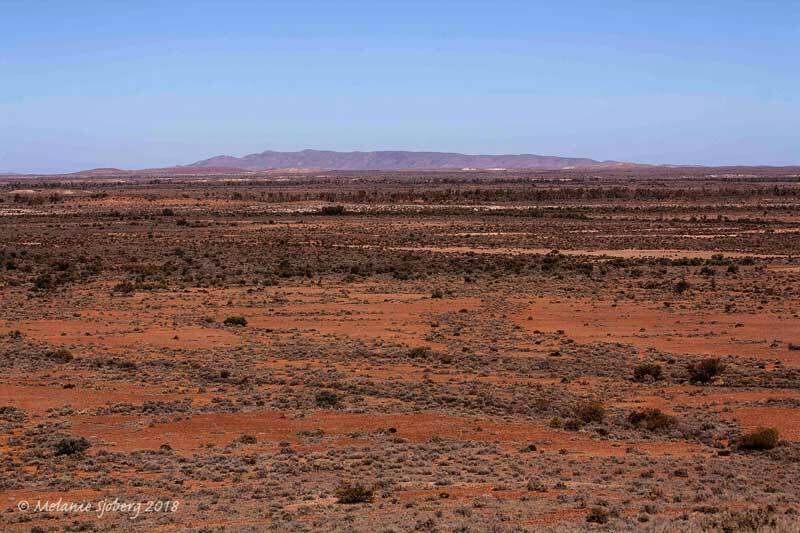 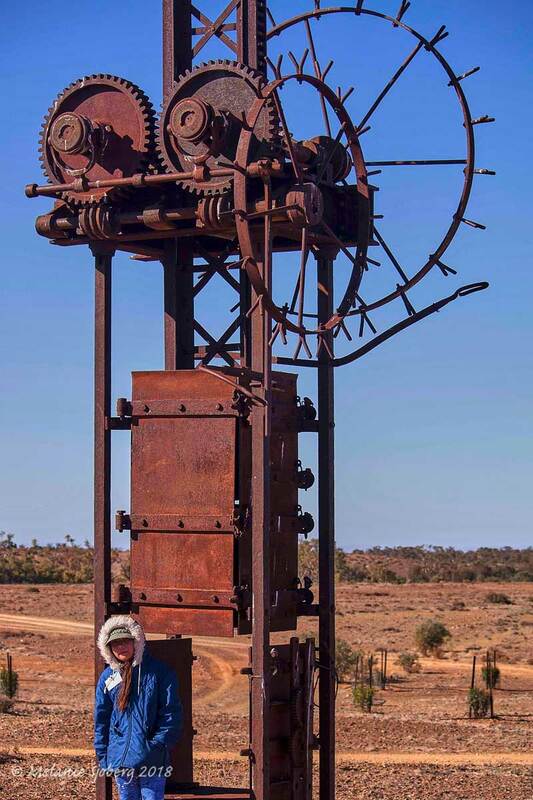 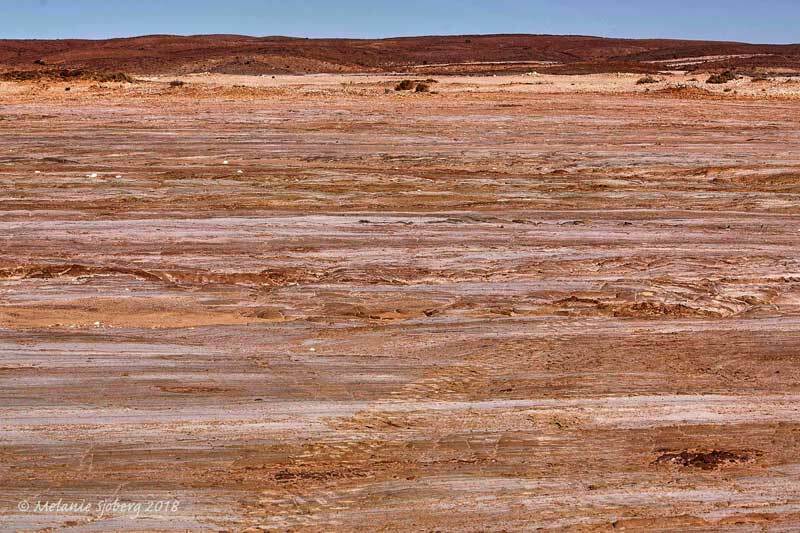 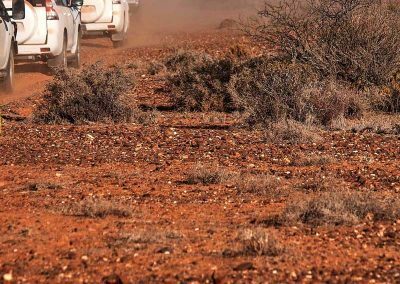 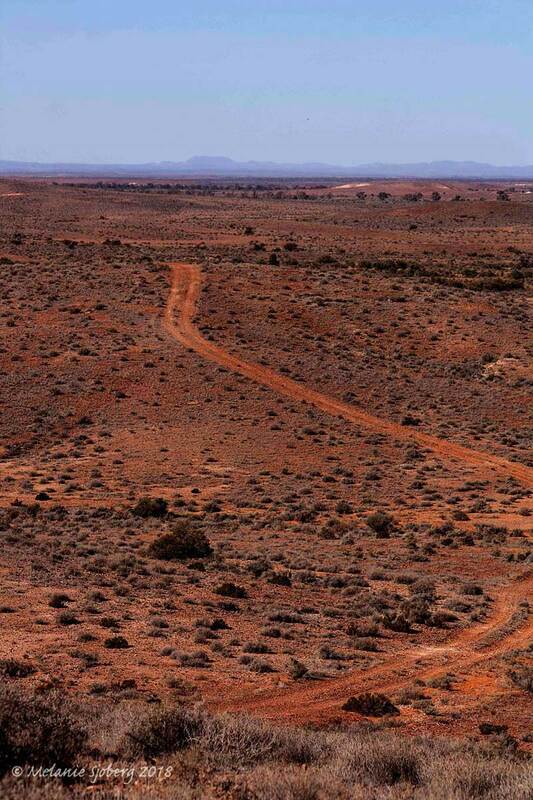 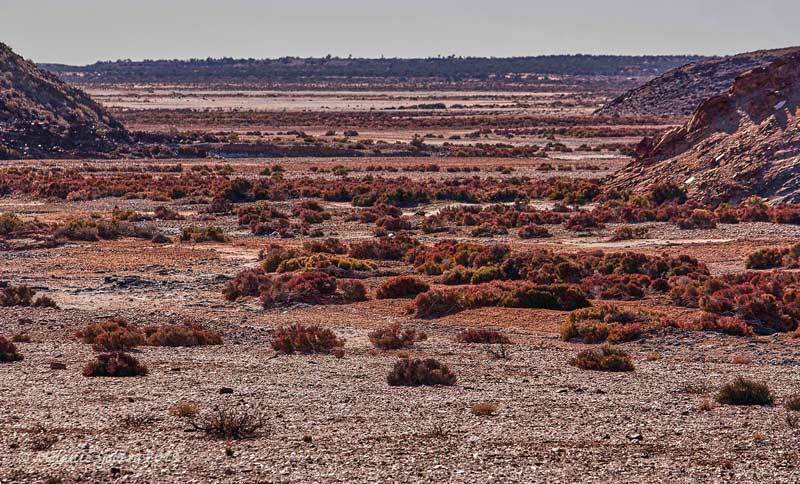 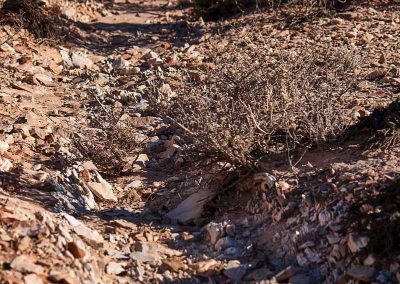 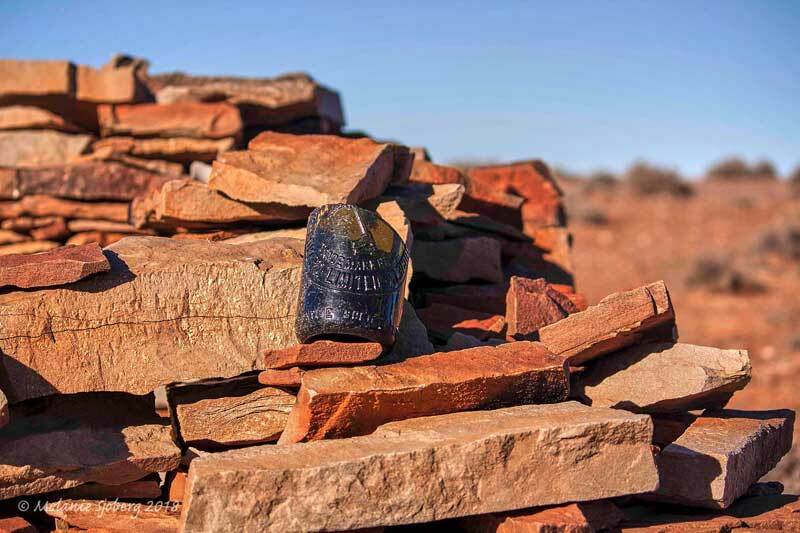 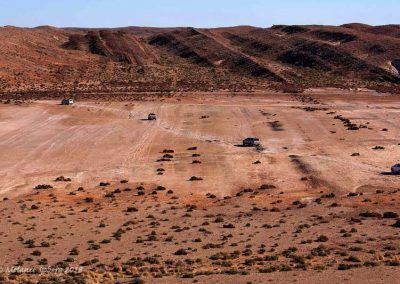 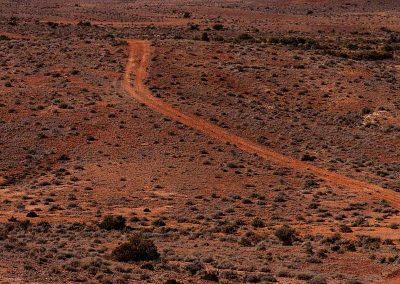 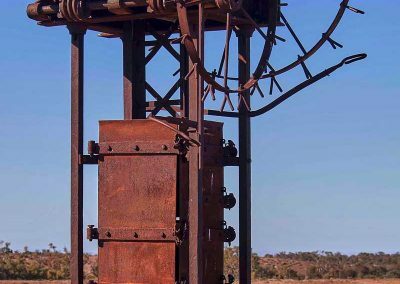 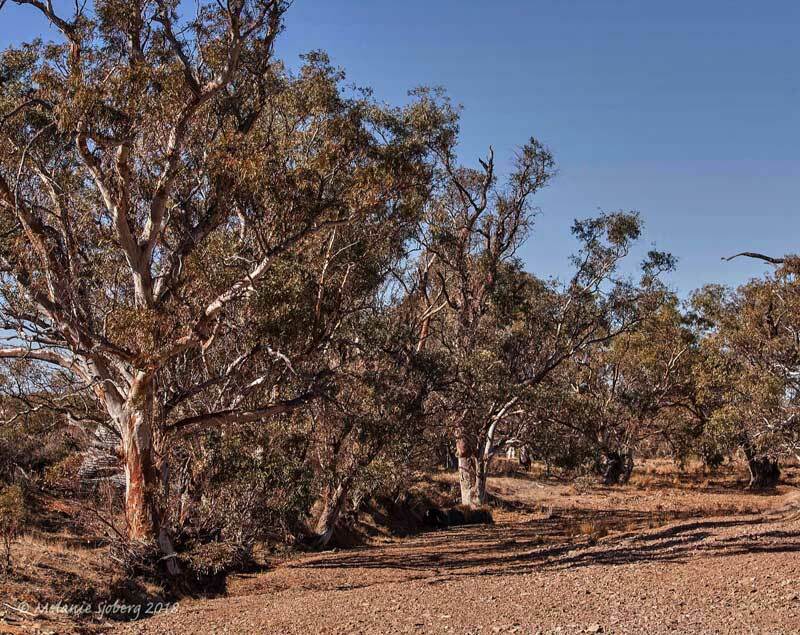 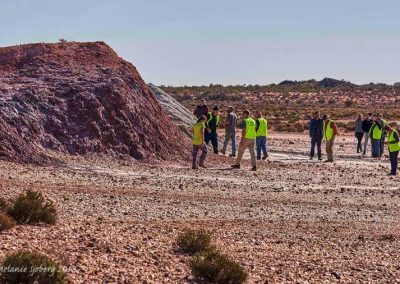 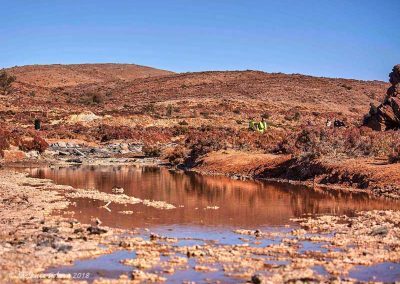 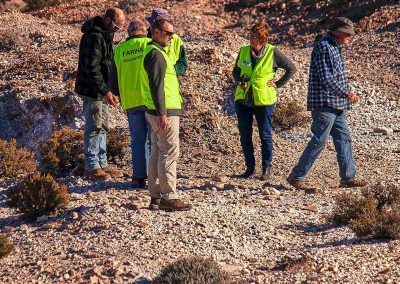 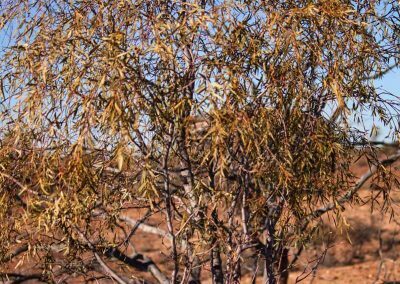 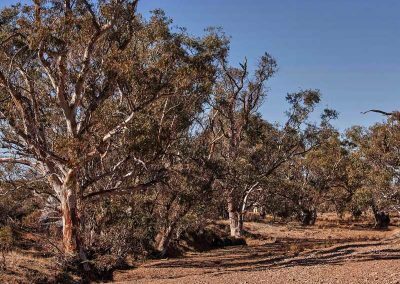 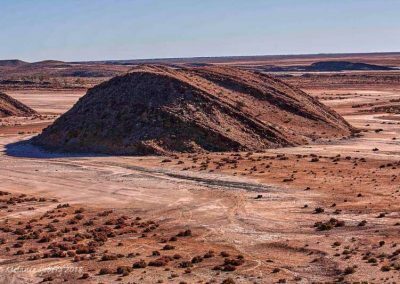 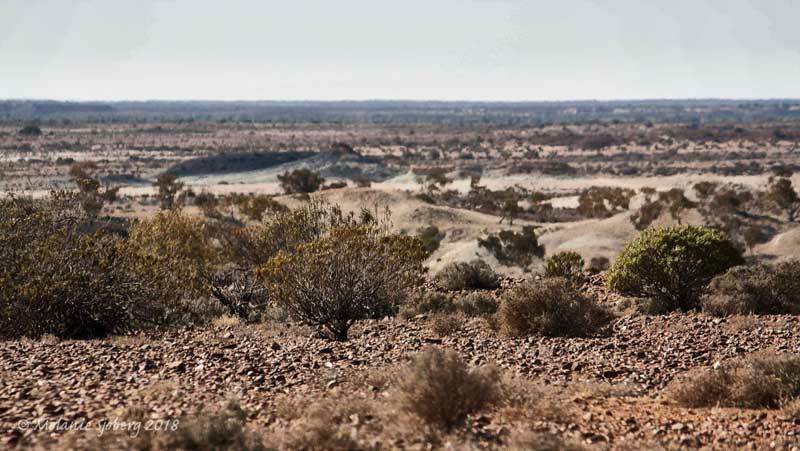 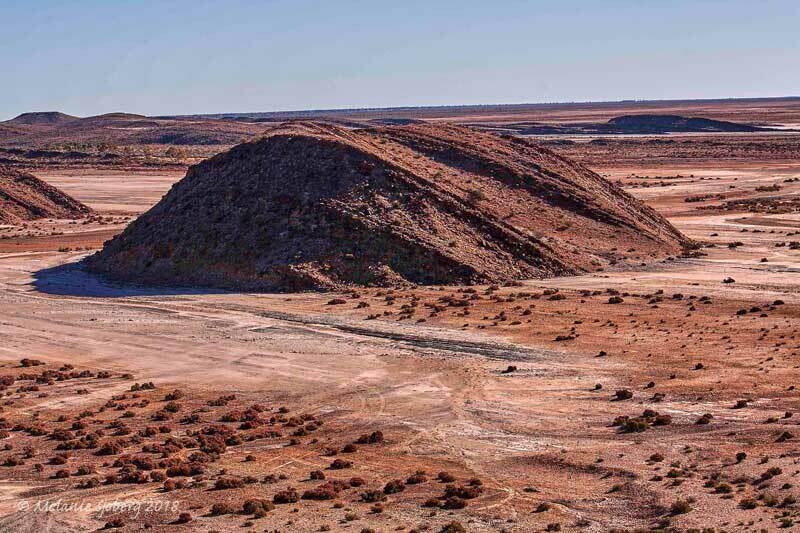 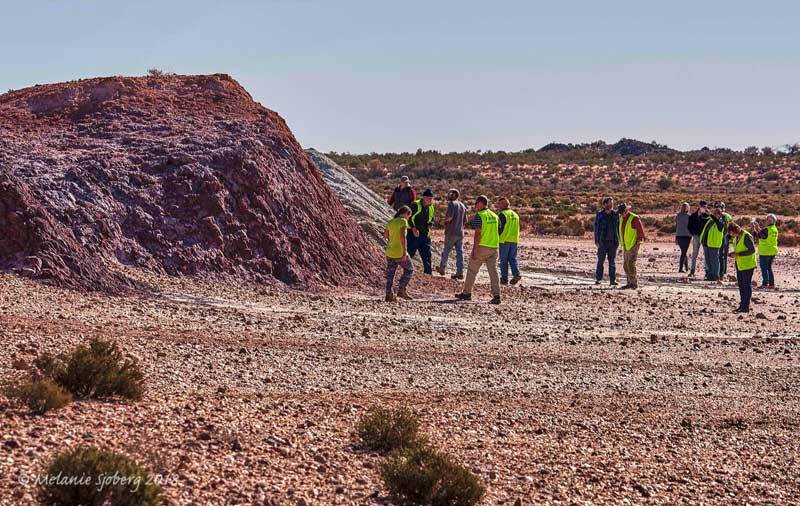 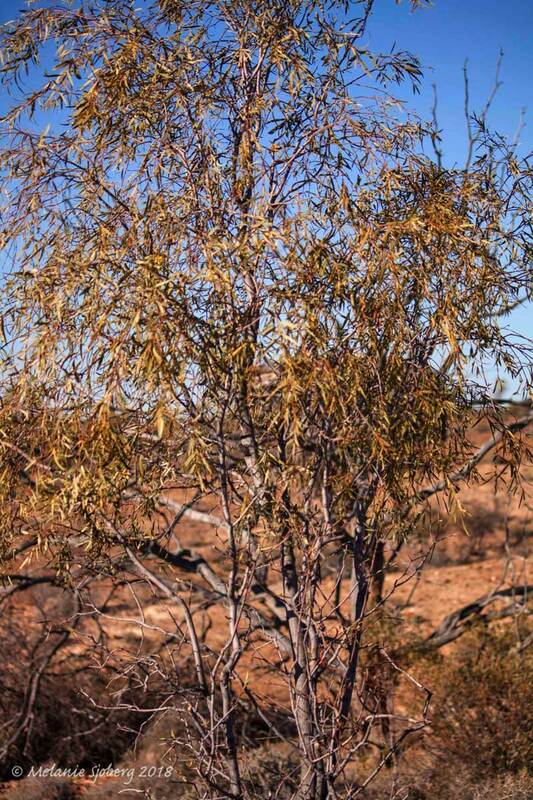 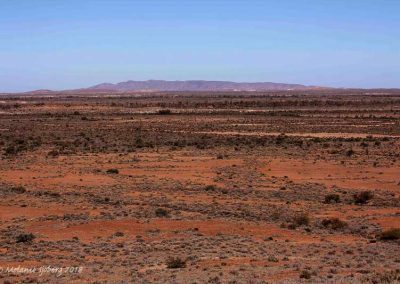 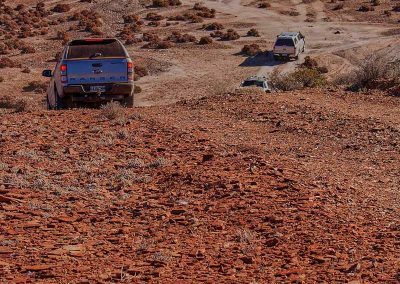 Participants are exposed to a fascinating array of features the stretch out well past the shearers quarters where vast rusty gibber plain undulates with smatterings of scrubby salt bush as far as the eye can see. 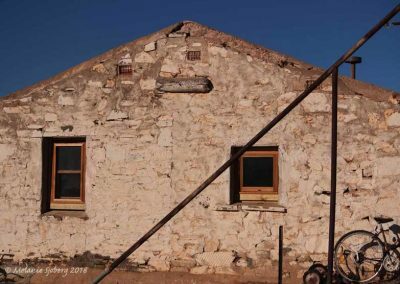 We were shown remains of a shepherd’s hut constructed from slate that must have once been a lonely or perhaps peaceful place to bed down while working the sheep. 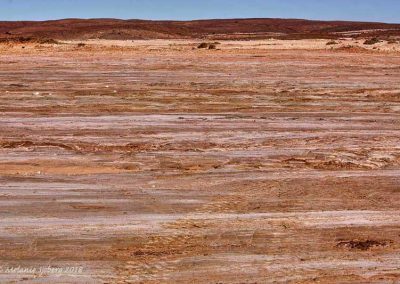 Once atop a ridgeline the views across into the creamy white vastness of Farina Lake – flat, dry, salt, marked with unusual dark rock mounds – are surprising. 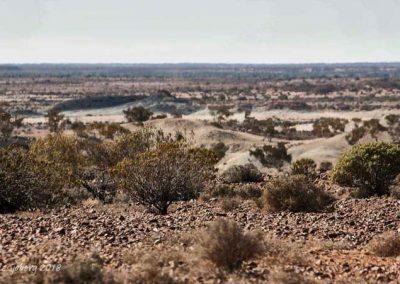 Trevor Dawes tells the group that trailers for a Mad Max film and Toyota advertising footage had been shot in the area. 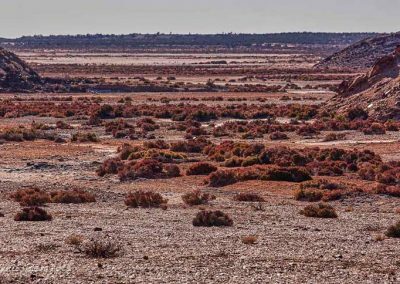 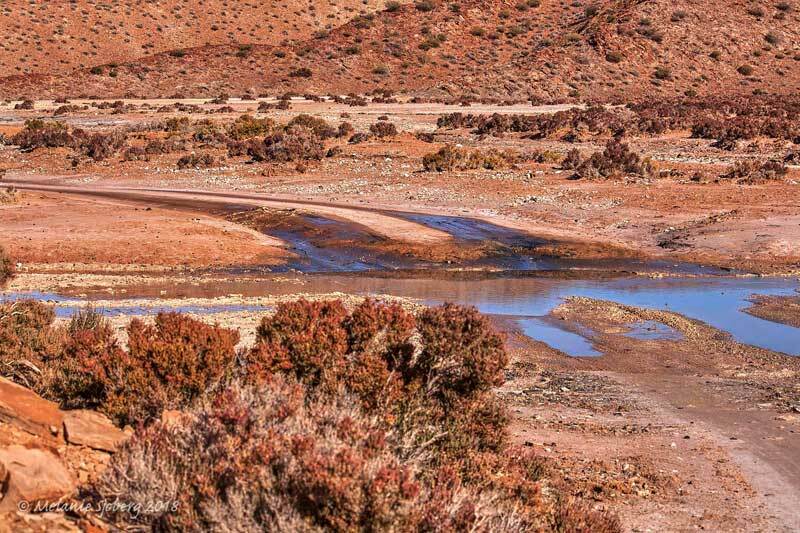 We then drive through a narrow gorge that opens into an arena surrounded by shale hills and discovering a heavily salt encrusted, barely flowing creek lined with red samphire and hiding tiny fish. 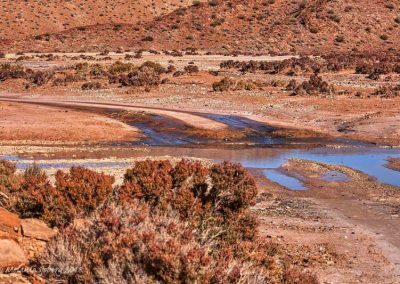 The extreme dry conditions had enticed several kangaroos to the creek where they unfortunately died from drinking the saline water. 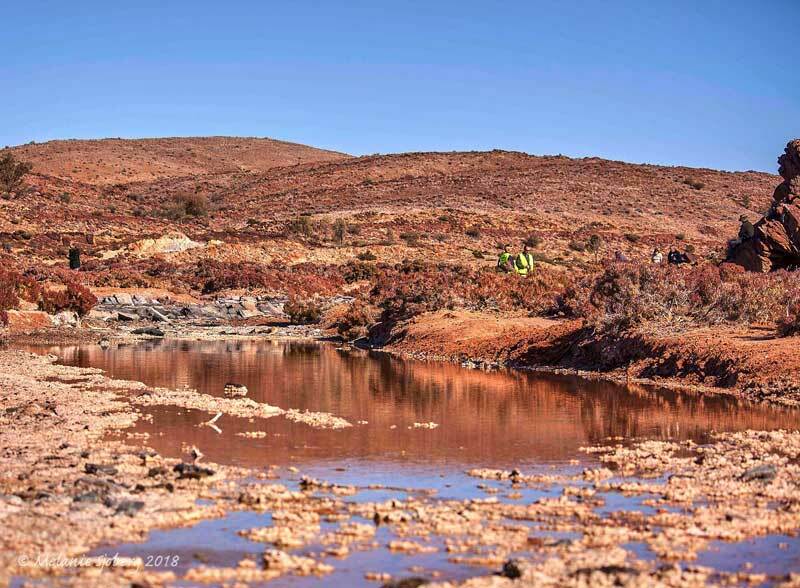 After a morning break for coffee and snacks that allowed us to appreciate the silence, we drove across the salt lake and out to a string of rocks where diverse colours of ochre were on display; the expected red-orange sits alongside pale creams and green possibly tinged by algae. Today’s big project was erecting the frames for the second half of the Patterson house. 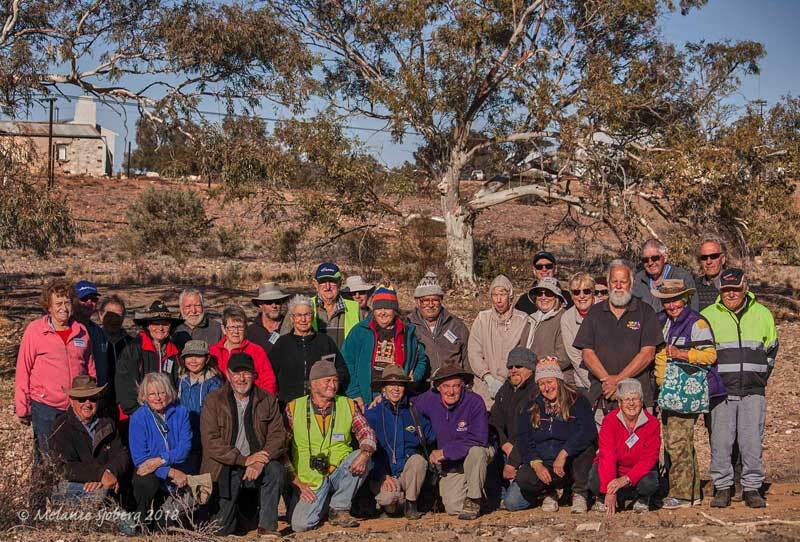 The team put in a massive effort worked and worked solidly all day to get the walls up ready for the next stage of the project. 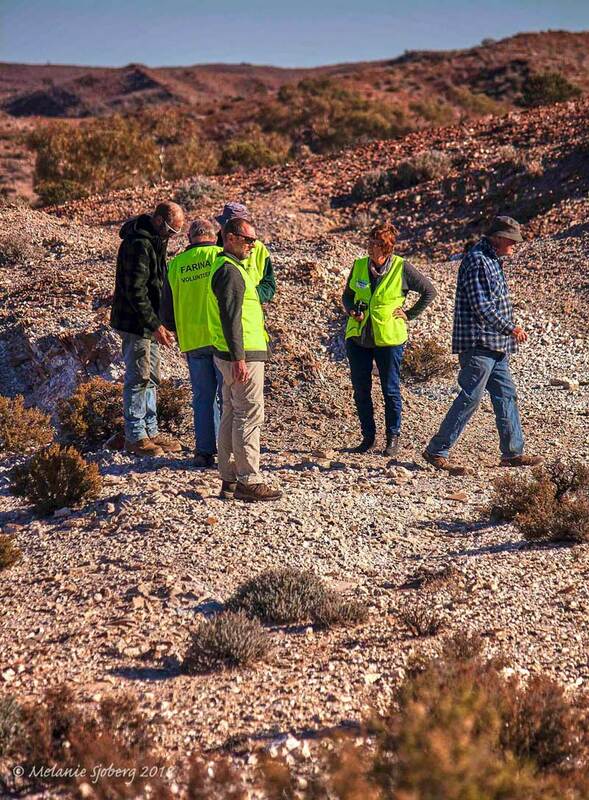 Bakery trade has been strong, with most visitors taking the time to have a good look around while they’re here. 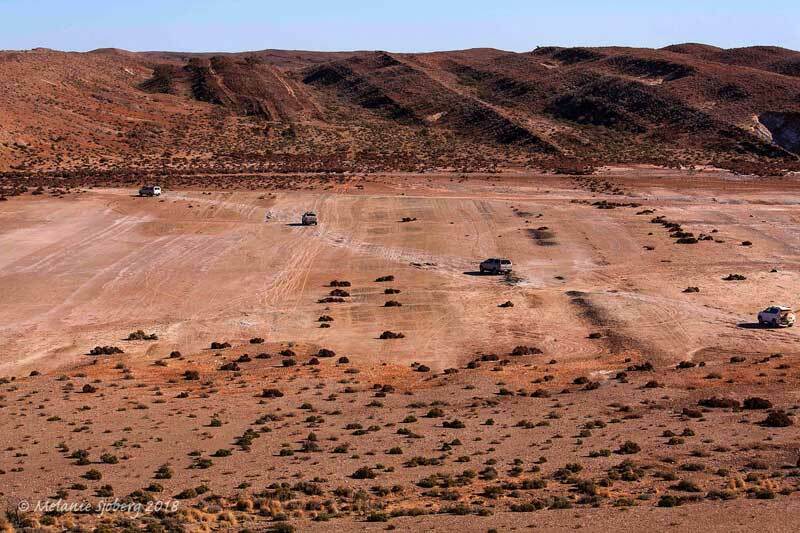 The crazy time lapse show below is the action on the Patterson site on the morning that the wall framing went up. 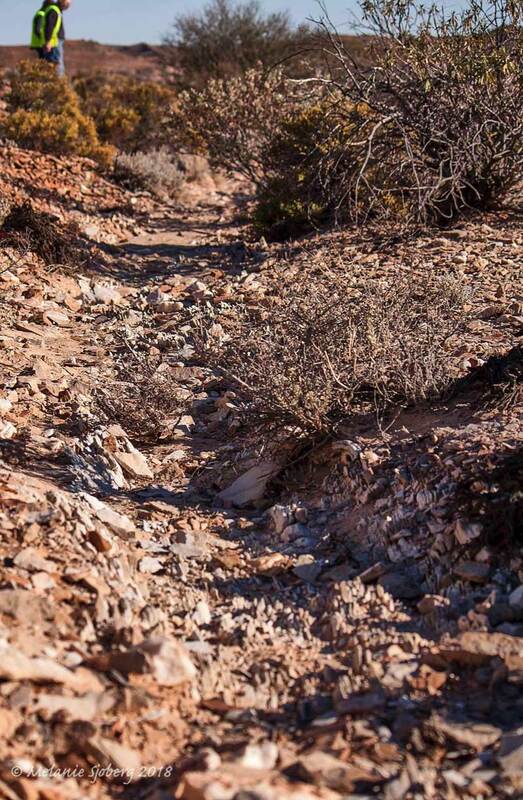 Don’t you wish we could all build this fast?